← Successful First Perry Band Olympics! Perry Band Olympics a success! Ankeny had an outstanding showing at the 30th Annual Perry Band Olympics on Saturday, February 22. Over 100 students from AHS and Southview competed in 75 solos and ensembles throughout the day. Performers received a divisional rating (I-Superior, II-Excellent, III-Fair) from adjudicators. Each category of performance selected up to five of the best performers from their center. Ankeny High earned 19 top five finishes and took home 5th place in their class. Other schools performing included Centennial, Des Moines North, Don Bosco, Dowling Catholic, Nevada, Pella, Perry, Urbandale, and West Des Moines Valley. 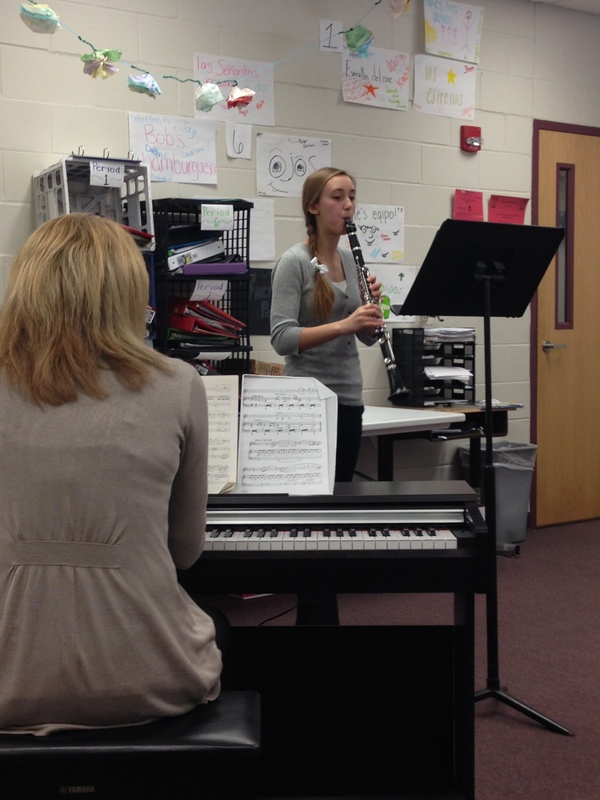 Freshman Lily Jones performs her 1st place clarinet solo with Mrs. Pam Hayden. 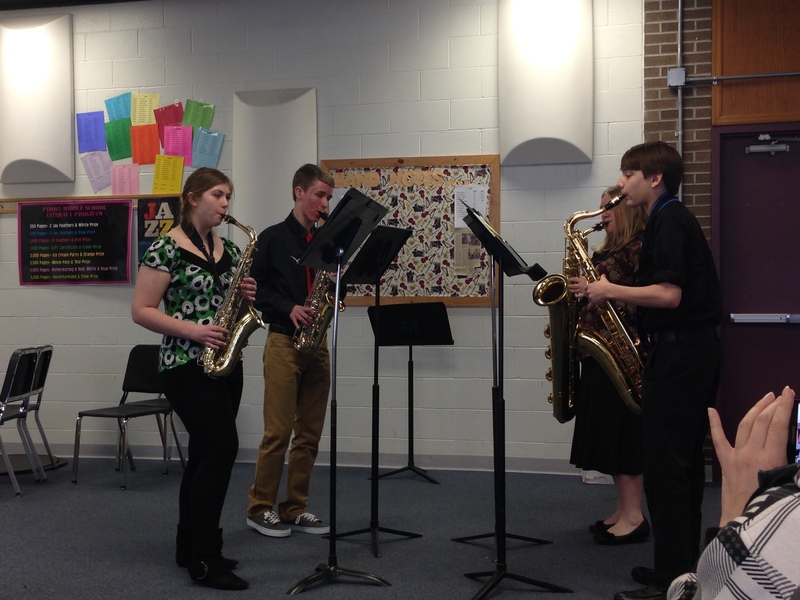 The AHS 10th grade sax quartet performs their piece “Pizza Party”. 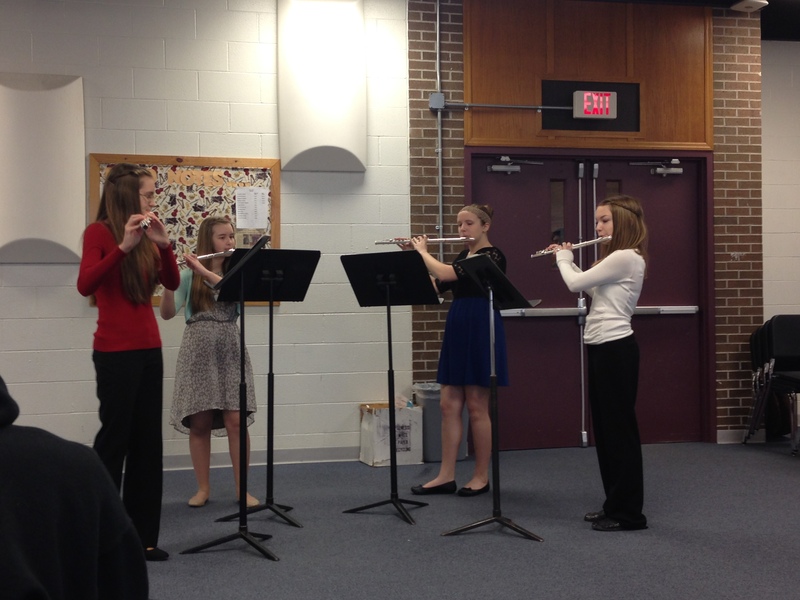 Southvie’w’s 9th grade flute quartet performs at Perry Band Olympics. 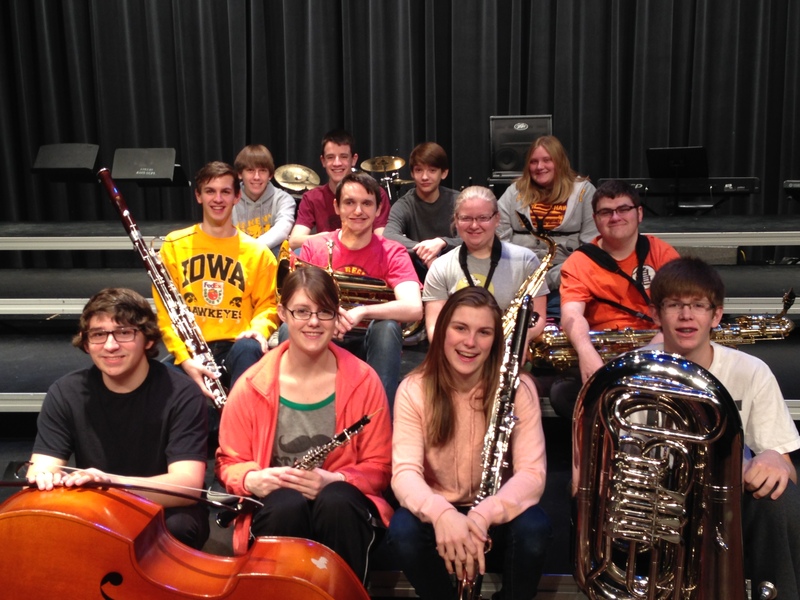 The group earned Best Woodwind Ensemble in grades 9-10.